Awsard (Refugee Camps), February 18, 2019 (SPS) - President of the Republic, Secretary General of the POLISARIO Front, Brahim Ghali, has emphasized that the achievements related to the Sahrawi cause made to date were gained thanks to the unity and determination of the Sahrawi people to extract their legitimate rights to freedom and independence. Speaking on Saturday during a conference that brought together the political executives of the POLISARIO Front, the President of the Republic called for preserving and defending the achievements of the struggle Sahrawi people for independence of their homeland. As regards the legal battle over natural resources, he recalled that the EU Court of Justice had reaffirmed that Western Sahara and Morocco were two distinct and separate countries, and that Morocco has no sovereignty over the Sahrawi territory and its natural resources, which belong only to the Sahrawi people and that any exploitation of these resources must have the consent of the unique and legitimate representative of this people, the POLISARIO Front. 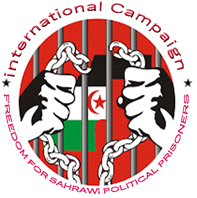 The President of the Republic hailed the peaceful resistance led by the Sahrawi people in the occupied territories of Western Sahara, subjected daily to the Moroccan repression, including Sahrawi political prisoners who languished for years in Moroccan prisons. Ould Salek reiterates “Abidjan Summit has demonstrated to Morocco and France that Sahrawi State is an irreversible reality"